Seamount Business Services aim in helping you know and understand your numbers. It is often believed that accountants are historians and only inform you of improvements after the fact and far too late to have an impact on your current trading year. What are the advantages of putting your paperwork in a box, handing it over to your accountants’ receptionist and receiving a letter from the tax department telling you that you have tax to pay – oh, and the deadline? Well, that is tomorrow, of course! 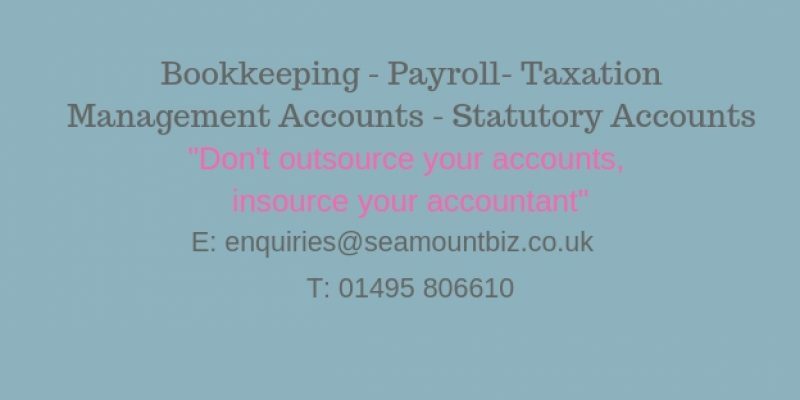 Seamount Business are committed to providing you with a personal service where they work with you in the here and now, during your tax year, so they can plan your taxes and make provision where needed. Q Can you tell us more about yourselves? Q What do your clients say about Seamount Business Services? Seamount Business Services have supported their clients, many of whom began their business journey at the kitchen table and are now venturing in to premises and the realms of employment.